Ubisoft says it's become clear that Watch Dogs just won't be ready for November. In a surprising announcement, Ubisoft has revealed that Watch Dogs won't launch until sometime in the spring of 2014. "We struggled with whether we would delay the game. But from the beginning, we have adopted the attitude that we will not compromise on quality," the publisher said. "As we got closer to release, as all the pieces of the puzzle were falling into place in our last push before completion, it became clear to us that we needed to take the extra time to polish and fine tune each detail so we can deliver a truly memorable and exceptional experience." 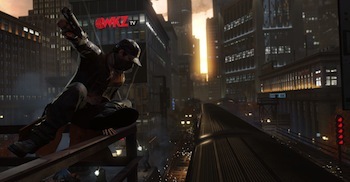 The move is particularly surprising in light of the fact that Watch Dogs was intended to be a launch title for both the PlayStation 4 and the Xbox One.